Home / MOVIE TRAILERS AND INFO / "Les Miserables" (2012) Movie in Theaters This 2013! 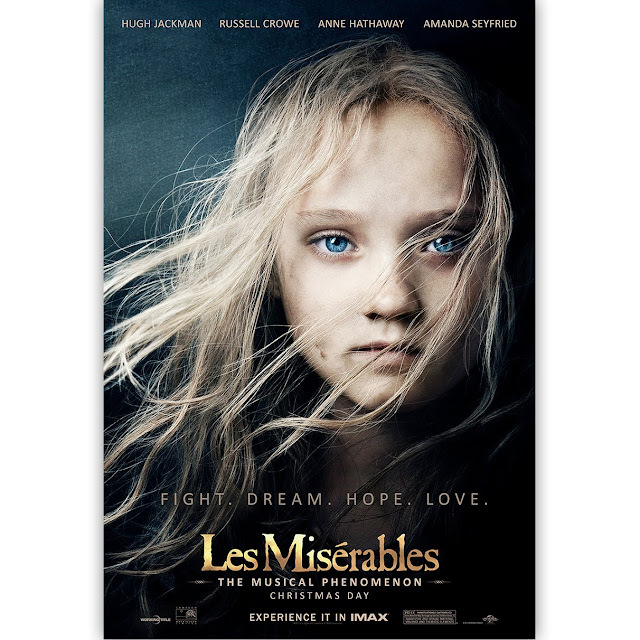 "Les Miserables" (2012) Movie in Theaters This 2013! "Les Miserables" is a 2012 musical drama movie based on the stage musical of the same title by Alain Boublil and Claude-Michel Schönberg which is in turn based on the 1862 novel Les Misérables by French novelist, Victor Hugo. The movie drama musical is directed by Tom Hooper, of "The King's Speech" movie fame. The movie "Les Miserables" stars Hugh Jackman, the unforgettable Wolverine who you can't imagine singing in a movie, the Gladiator star, Russel Crowe, the Princess' Diaries star, Anne Hathaway who we already heard her singing voice at the ending credits of "Rio", and the Red Riding Hood star, Amanda Seyfried. "Les Miserables" is simply a big musical stage play packed with awesome scenes in a more realistic approach. There will be no stage for this production but the whole city itself is a big soundstage that looks like the real thing! So, yeah! One can have high standards, right? Below is the international official trailer of "Les Miserables" from Universal Studios.